A classic blend of Cabernet Sauvignon and Carmenere that sincerely reflects the unique soils of Apalta. Though each year varies slightly, Neyen seeks balance, an elegant synergy between the characteristics of each variety. Serving as the wine’s back bone, Cabernet Sauvignon adds structured smoothness, while carmenere, Bordeaux’s lost variety, delivers a soft texture and silky finish. 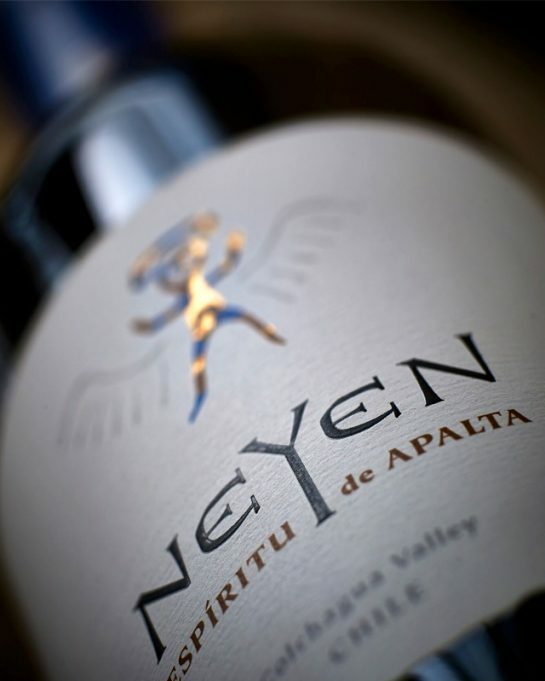 A new world wine with an old world essence, Neyen offers authentic wines, reflecting the unique centenary vines and soils from our property in Apalta.